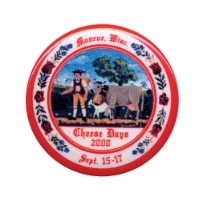 THE SWISS COLONY CHEESE DAYS PARADE will step off from the Green County Fairgrounds on Sunday at 12:30 pm. The parade route closes at noon. After that time - no one is allowed to use the route except for officially sanctioned parade-related business. 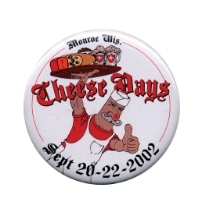 For example - pre-parade entertainment. DOWNLOAD & READ COMPLETE GUIDELINES BEFORE APPLYING! 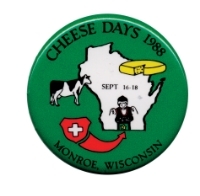 All business, club, and group entries (including non-profits) are required to be decorated, signed, and themed to reflect one of more of the following: Cheese, Dairy Farming/Agriculture, Swiss-ness or Swiss heritage. Entertainment units (bands, music, clowns, stunts, etc) do NOT need to follow the theme, as their role is to entertain the audience. The parade does NOT include a division for antique cars. If you have a convertible (antique or newer) and would like to transport a dignitary or special guest in the parade, please contact us. IMPORTANT! Read our Parade Guidelines before applying!